We can fix all makes of computers and laptops e.g. Acer, Apple, Dell, HP, Sony, Packard Bell etc. We also repair a wide range of tablets including Apple iPads and Microsoft Surface. All of our work is fully guaranteed and we operate a no fix, no fee policy. We offer a free collect and return service within 10 miles of Worcester (as highlighted in the inner circle in the map below) . We charge a small fee for callouts in the outer circle which will be agreed in advance. We can provide repairs via a courier service for laptops, and tablets if you are located further away and we can also provide remote assistance. Call us today on 01905 371289 or complete our contact form and we will be able to give you an estimate of repair costs. Please provide full make and model number (and preferably serial number) when completing the contact form so we can provide an accurate estimate. Once we have seen your machine we will quickly diagnose problems and provide a fixed-cost quote before any work commences. We always perform a full system back-up of your machine before carrying out any work that may effect your data so you can be assured the files on your hard drive are fully protected. We are a small, family based business and as we have low overheads we are able to offer extremely competitive pricing. A price guide is included below for more common repairs, but the exact price will be dependent upon the model of your machine as the price of parts can vary depending upon make and manufacturer. We realise how much you rely on your computer system and that you need it to be working again as quickly as possible. We carry out most repairs within 48 hours but can offer an express service if the necessary parts are available. We can also provide a free loan machine whilst your system is being repaired. 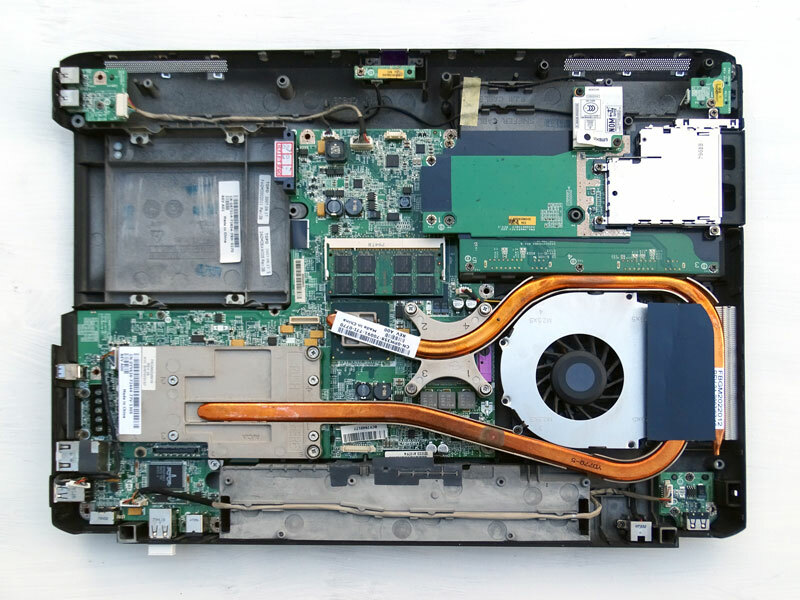 Sometimes it makes more economic sense to replace your pc or laptop rather than to repair it, if for example, the main motherboard has failed and the machine is several years old. We will always give honest advice that you can depend on and obviously the final decision on whether to repair or replace is yours. If you decide to replace your machine , we can help you purchase a new one and can help with the initial set-up and transferring files from your old system. Please note we are a small, family business. This means we can provide a more personal touch but it does mean that we can only keep limited spares in stock. However, we are able to get most spares from our suppliers next day. We cover an area within a 25 miles radius of Worcester as highlighted in the map above. We provide free call outs within 10 miles of Worcester as shown by the inner circle. A small fee is charged for areas in the outer circle, which will be agreed in advance. We can provide remote support to areas outside the indicated area and carry out repairs via a courier service but callouts of more than 25 miles away are only made by special arrangement and a callout fee will be agreed beforehand. Your satisfaction is important to us. We strive for total customer satisfaction and we generally achieve it, as testified by our five star rating on TrustPilot. Our work is fully guaranteed giving you total peace of mind but we are not satisfied at meeting your expectations - we aim to exceed them! We will go the extra mile to ensure our customers are totally satisfied and remain loyal customers. Below are typical prices for our most common computer repairs. The actual price will depend upon your particular make and model of computer as this will effect the cost of parts and can effect the time taken to complete the repair. The above prices are estimates for the total price including parts and fitting. The actual price will depend on the make and model of your machine and the time to fit the part. Call us on01905 371289 or complete our contact form and we will be able to provide a fixed quote to carry out necessary work. The above only provides details of our more common computer repairs, if you need any other type of work carried out, contact us using the details above and we will be happy to discuss your requirements. *Cost is based on fitting a Toshiba 500GB 5400 RPM disk, including cloning original disk where possible.